You know how people are. You tell 'em somethin', they start talkin'. 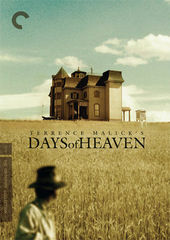 Firing a mix of critical thought and mesmerizing immersion, Dan Perri's title design for Terrence Malick's Days of Heaven combines street-level photojournalism with credit-to-character inferences intended to draw the curious eye. As the ears aswoon with "Carnival of the Animals - The Aquarium" by Camille Saint-Saens, you are nowhere if not here, with these people, in the Gilded Age of American history. 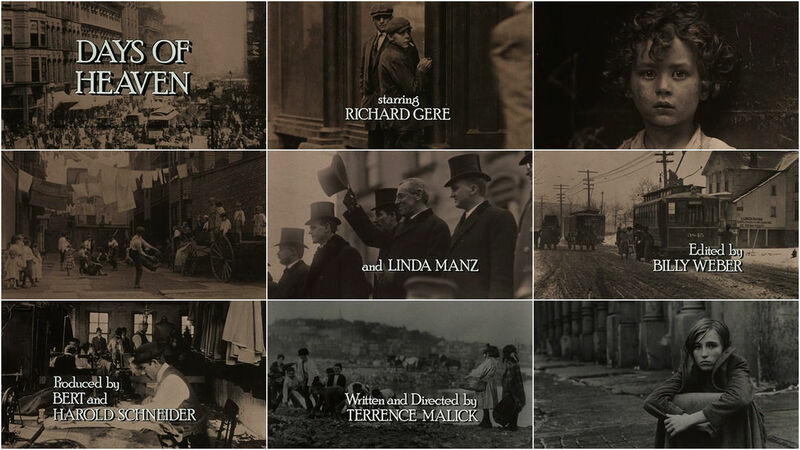 And then the last shot of the [opening title sequence] subtly shifts us from photos [and] into the world of the film. In a masterful move, the [last] shot perfectly replicates the same look of the previous images, but... it is one of the actors, Linda Manz (in a photograph taken by Edie Baskin). It’s through her perspective that we will take this journey so it is fitting that she is the one who bridges the gap from the [opening] credits into the first shot of the film. Dianne Crittenden, casting director: Terry...has a vision that I'm not sure everyone else who is working with him sees [but] he sees it and he gets it. Billy Weber, editor: We used to get complaints...that the music at the opening of the picture, which is by Camille Saint-Saens, was not by Ennio Morricone who composed the music for the movie. Patricia Norris, costume designer: I've never seen the pictures used at the front of the movie. They are different periods though, if you really want to be analytical about it [however this is more about] a feeling you want to capture; right or wrong, it's [about] this feeling of poverty and hard life.